Inspired by Halloween, let’s explore some dark interiors that bring out the glamour. Not all dark interiors inspire chills. 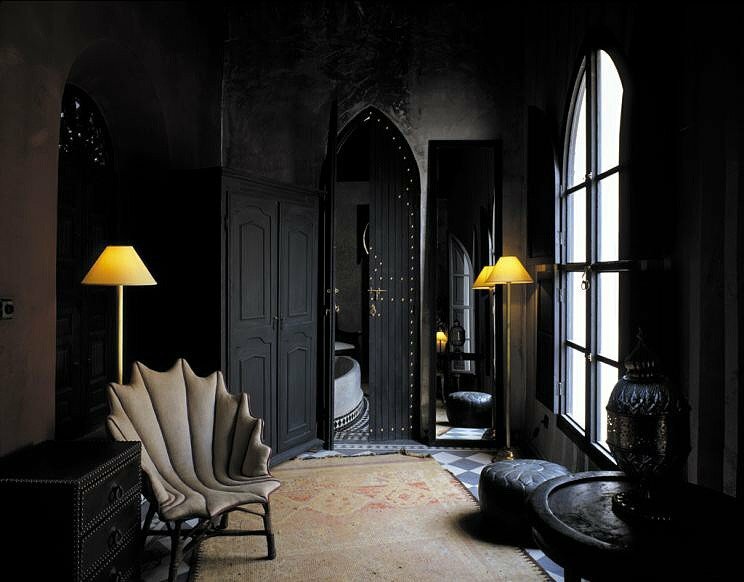 These rooms exhibit a chic and dramatic side to darkness. Rich textiles, dark painted walls and accents that highlight the use of a dark palette give these rooms a distinct appeal. Glossy dark wood wall panels, richly patterned flooring and bold accent furniture combine with white soft furnishings and plenty of shimmer for stylish elegance. 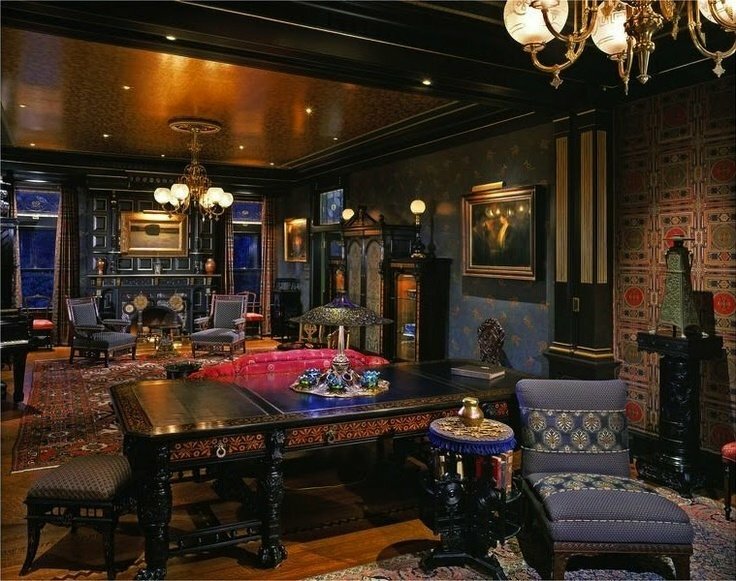 With a touch of Victorian splendor, this room invites an evening of cigars and brandy. 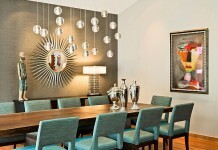 Distinctive lighting, an array of artifacts and abstract art bring modern elegance to this room. Long sofas invite guests to relax. 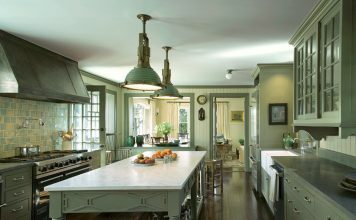 Painted lines create a pattern that merges with the lighting to create cohesiveness of the design. 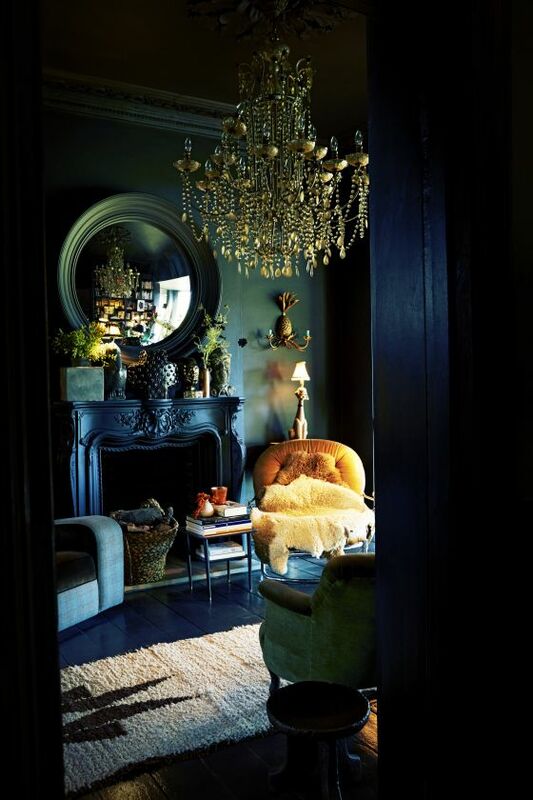 Dark wood with satin shimmer gives this room its stately appearance. 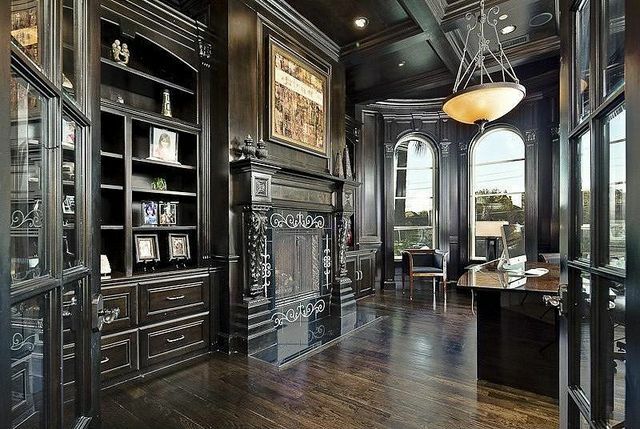 This room boasts architectural details that deliver grandeur. A black and white dining room is clean, crisp and sleek. 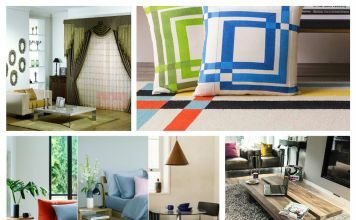 The pattern mix creates interest and depth. A flowing floral design in the rug anchors the space, while the interlocking structure of the geometric print on the head dining chairs anchor the table. Damask wallpaper and striped chair backs add even more pattern. 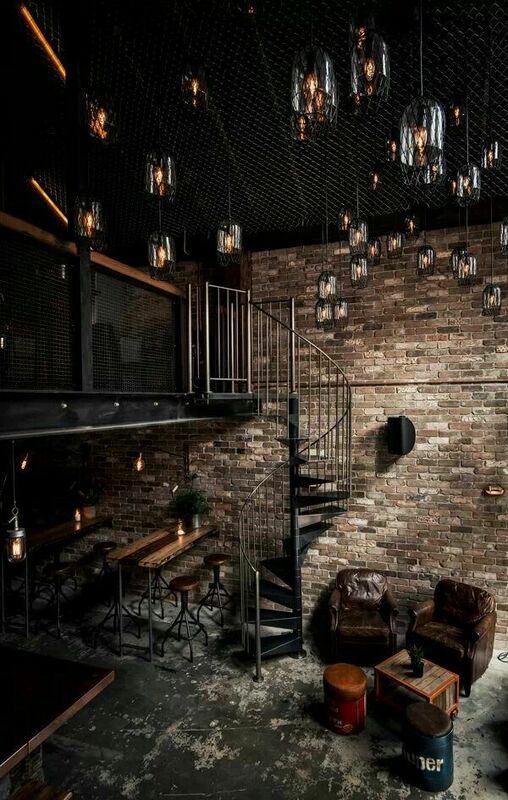 Dark brick and black leather give this space a masculine appeal, while the chandelier imparts a bit of traditional elegance. This room beckons with cozy seating and the gothic architecture holds your interest with its intricate patterns. 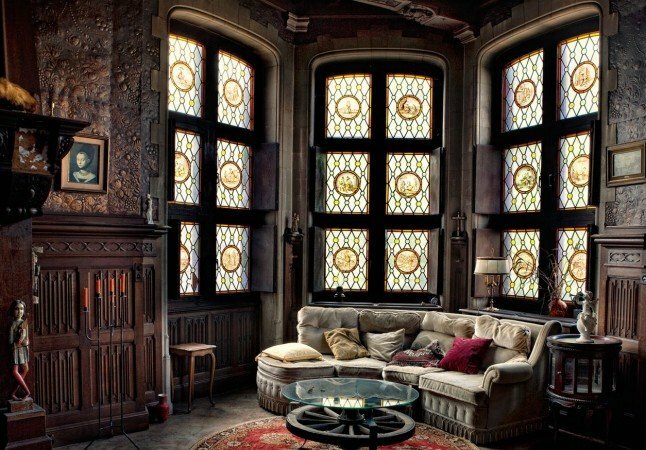 The stained glass windows filter light to give this room atmosphere. Step into these bedrooms for a peek at the different ways that black can highlight a room. 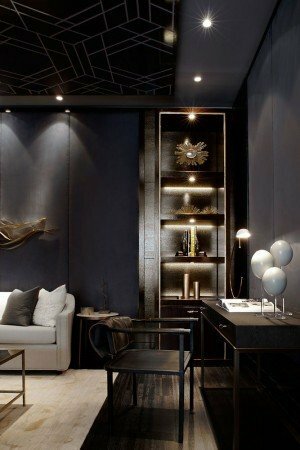 An all-black palette needs depth and this is added with texture and varying shades of black. 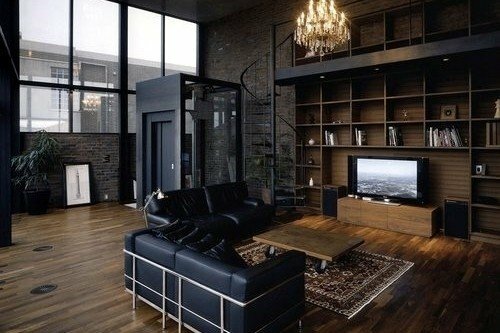 Black walls can dress up a bedroom and make the walls recede, which opens up the space visually. Adding creamy linens with splashes of warm colors make this room inviting. 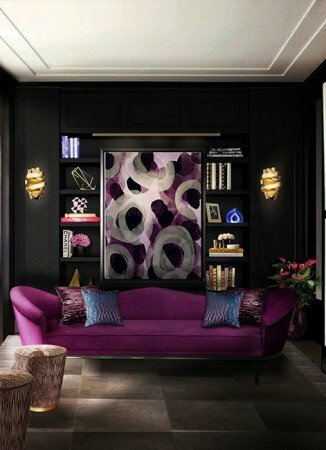 Add glamour and sophistication with animal print accents, damask wallpaper and mirrored furniture. 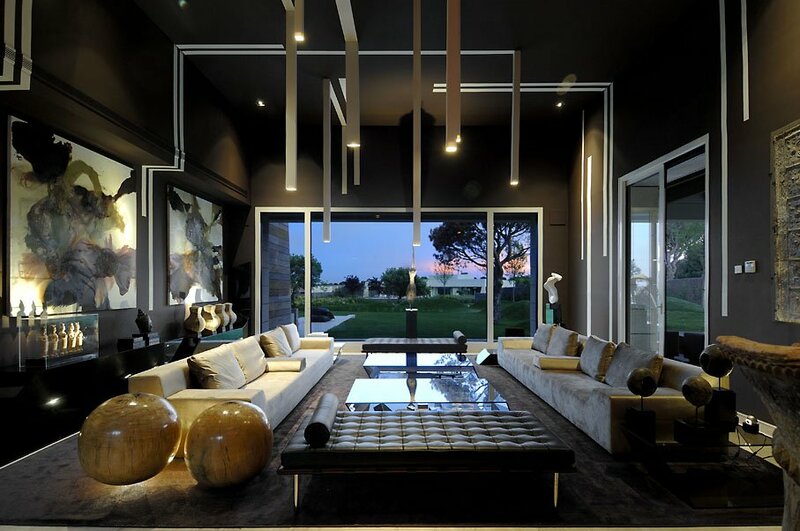 Extend the drama with dark ceilings. Outfit the room in comfortable furniture in muted gem tones for an old-world charm. In the industrial space, take advantage of the natural brick and steel elements. 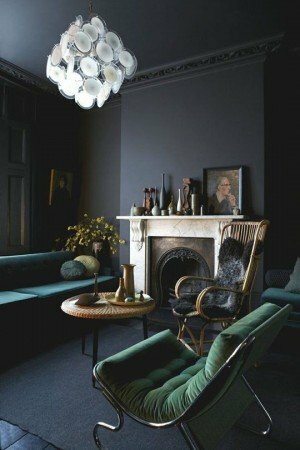 A dark color palette creates drama and impact in a space. Furniture and textiles become the focus of the room. 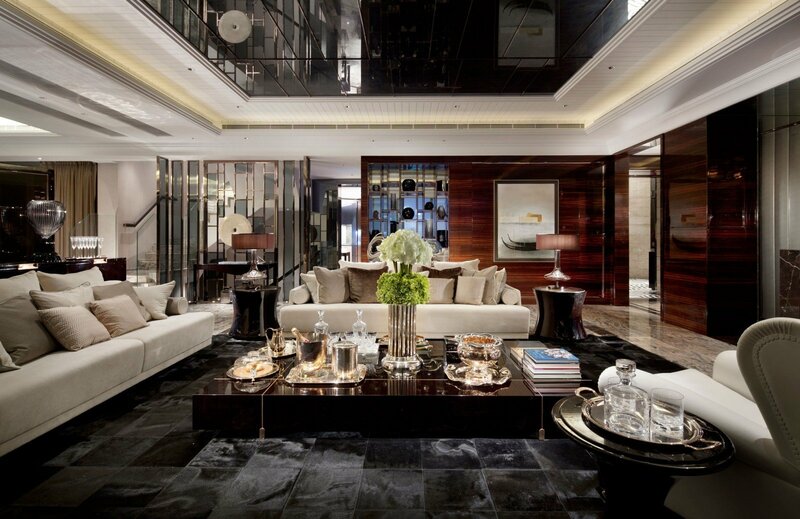 Traditional spaces call for dramatic features, such as crystal chandeliers and gilded accessories. 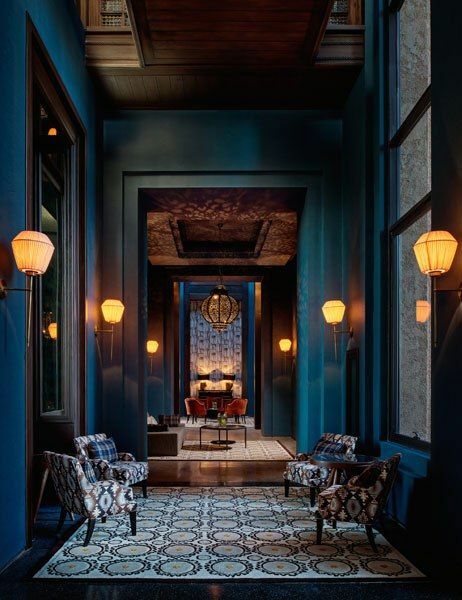 Pattern plays well against dark walls and gives the space interest and depth. Modern spaces have a distinct sophistication and edge when designed in a dark color palette. 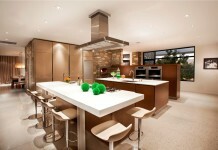 Adding bright color to the mix infuses the space with a bold elegance that is very cosmopolitan. Using a dark color palette in your home design can result in very dramatic, sophisticated and elegant spaces. Let this Halloween season inspire the darkness in your home…without the chills.